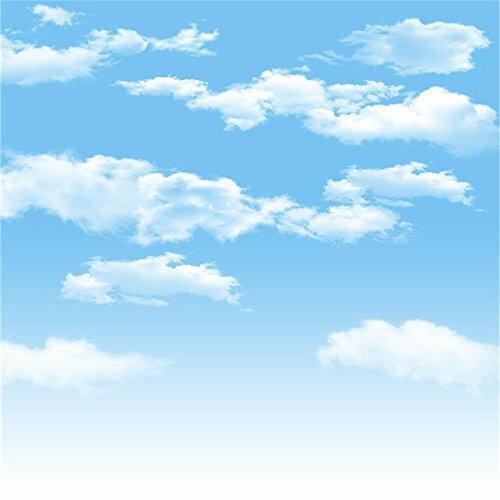 AOFOTO 8x8ft Blue Sky Backdrops White Clouds Photography Background Photo Studio Props Baby Infant Kid Newborn Toddler Girl Boy Adult Artistic Portrait Spring Party Decoration Summer Vinyl Wallpaper by AOFOTO at Kmpacting Studio. MPN: Q25x25NCJ01697. Hurry! Limited time offer. Offer valid only while supplies last. Size: 8 x 8 ft. (96 x 96 in. ), the width is 2.5 meters which is 8ft, the height is 2.5 meters which is 8ft. And Also Customized as your request. Size: 8 x 8 ft. (96 x 96 in. ), the width is 2.5 meters which is 8ft, the height is 2.5 meters which is 8ft. And Also Customized as your request. We Also Supply The Backgrounds With Same Picture In Other Sizes: 4x6ft, 5x5ft, 6x6ft, 5x7ft, 7x7ft, 6x8ft, 7x10ft, 10x10ft, etc. With a size of 8 x 8 ft. ( 96 x 96 in. ), this backdrop is ideal for shooting both objects and portraits. It is also perfect for a variety of events, such as baby showers, weddings, home gatherings, parties, bridal showers, school proms, club performances, festivals, stage backdrops, church Christmas plays, and all kinds of holiday celebrations. It makes excellent portraits for people of all ages, ranging from infants and children to teenagers and adults.